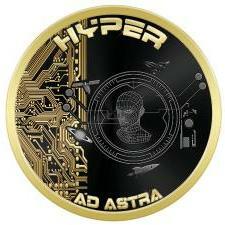 Beyond this, the team is also hard at work establishing HYPER core infrastructure such the HYPER Gaming Gateway, at Hypergg.com that is in open Alpha and launching soon. The HYPERGG will bring a professional face to the HYPER network of gaming servers and soon include a HYPER web wallet where anyone can start using HYPER easily and store their HYPER winnings from gaming. Hypergg.com Console gamers will soon be able to enter monthly competitions at http://hypergg.com and win HYPER for playing their favorite Xbox and PS3 games. - Counter-Strike: Global Offensive US and EU servers. - Web shop with 10% discount on ANY steam game code coming soon. - HYPER to be integrated into in-store and online merchant payments iPhone and Android App Casheer. - HYPER team in talks with top level cryptocurrency exchanges and payment providers of the gaming industry with more news to come soon.